This week’s Minimum Industry Safety Training (MIST) went very successfully with all our delegates passing the course and they are now proud recipients of our OPITO (Offshore Petroleum Industry Training Organization) approved certificates. OPITO standards are recognised in thirty countries and they are the safety standards in the offshore oil and gas industry. Our MIST course is designed to give delegates the basic safety training knowledge required while working in the offshore industry. After completion of the course all our delegates are fully equipped to handle Risk Assessment, Hazardous Offshore Environment and Platform Integrity. 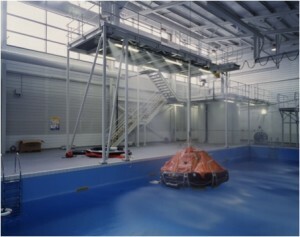 Here at the National Maritime College of Ireland all of our off shore courses are OPITO approved. All and all it was a very successful day and we’re already gearing up for our next one that runs on the 13th of December 2010 for more information click here. After completion of the MIST our delegates got a chance to do some wet drills as they all continued on to do our Basic Offshore Safety Induction & Emergency Training (BOSIET). Our BOSIET is also OPITO approved and recognised world-wide. 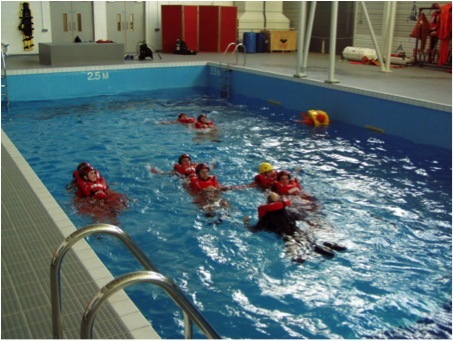 Our delegates especially enjoyed the use of our pool facilities and each participant was well drilled in Helicopter Safety and Escape as our Helicopter Underwater Egress Training (HUET) is a part of our BOSIET. Our delegates also got expert training in Sea Survival, Firefighting and Self Rescue. We are now taking bookings for our next BOSIET which takes place on the 8th of November 2010.